The Culligan WSH-C125 Wall mount showerhead is an ultimate filtration system designed to offer a scale-free anti-block shower experience. It is a product that was designed to offer a refreshing and relaxing shower experience to its users. You enjoy a cleaner and fresher shower experience since the shower head removes chlorine and other harmful chemicals that would otherwise offer a less pleasing shower. The sleek chrome design is aesthetically pleasing and accessorizes the bathroom.The Culligan Wall-Mount Showerhead provides filtration against sulfur, chlorine, therefore reducing scale build up for a softer shower. A powerful filter to reduce chlorine and other mineral elements that make water hard. The filter boasts up to 99% filtration of these elements. The filter is replaceable and it is recommended that you replace it after every six months. The shower head is designed with the holes made in a way to provide a slow and soothing flow of water. The filter is easy to install with no tools required. The packaging comes with a Teflon tape, you just wrap it around the shower arm and you are good to go. It offers a healthy and safe showering experience. It is certified by the national sanitation foundation. A stationary design, the shower head is not adjustable, cannot be rotated to face a particular direction after being installed. Features anti-clog rubber spray nozzles and a ten thousand gallons filter capacity. The bacteriostatic feature limits the passage of and growth of bacteria that may already exist in the water. The material used in the manufacture of this shower head does not allow the growth of bacteria colonies. The shower head has a limited manufacturer’s five-year warranty. The Culligan WSH-C125 Wall mount shower head is a great product for its price range and serves to its specifications with efficiency. For those who want a chemical free shower then this is the right product for you. And it comes as a great bargain, not too expensive. 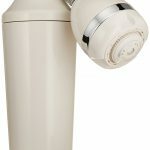 The powerful filtration system ensures removal of harmful chemicals that would otherwise cause skin and or scalp irritation. It also helps prevent dry skin and damaged hair. The Culligan WSH-C125 Wall mount shower head has multiple spray settings. You are offered the liberty to choose a setting that suits your mood. The more you enjoy the experience. It is easy to assemble and install. The shower head is relatively lightweight and fits with any standard shower arm. The DIY instruction manual that comes with the products facilitates easy and proper installation without much of plumbing skills being required. The installation will take a very short time and you will immediately benefit from the pure clean water. Maximizes cleansing since the water is cleaner and softer. It offers a cost-effective way to improve the quality of the water in the shower. 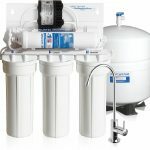 Considering the fact that the cartridge is only replaceable after a period of six months, this offers a pretty cost effective solution to chlorinated water problems in a household. Better quality water at a bargain. The Culligan WSH-C125 Wall-Mount shower head is a greatly affordable. It is a great bargain since the cost of filter replacement every six months is really low. The filter cartridge reduces sulfur odor and scale, the water used will make your hair and skin soft and clean. A safe product to use; NSF certification. The shower head is bacteriostatic, it prevents passing of bacteria onto your skin when you are showering. Bacteria that would otherwise cause skin diseases or any other infection, in this case, gets eliminated. Ensuring a healthy and fulfilling shower. There is an option of a handheld design with a five feet hose for extreme mobility. This design is perfect for kids and pets. There is a bit of leaking when you are shifting between the different settings. When you are switching between the settings while the water is running there tends to be a lick that will persist. 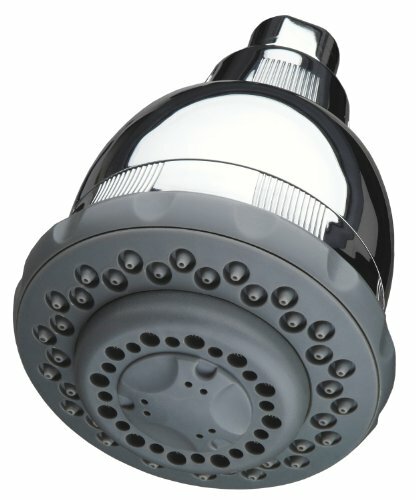 The shower head will not eliminate hard water and soap scum. The filter does not have the specifications to eliminate the mineral element that makes water hard. You will require plumbing tools if the shower faucet is old.